Wow! No joke, this plugin review deserves to start with a “Wow!” I decided to review the WooCommerce Product Table plugin because I thought it was a helpful plugin for WooCommerce shop owners. Little did I know, it’s a powerhouse! If you’re looking to do anything with your WooCommerce products in a table or list, I can almost guarantee the WooCommerce Product Table plugin can do it. As I got more into writing this review, I kept discovering additional, jaw-dropping features in their documentation. Not to mention, their documentation itself is incredibly organized & comprehensive. Customizations, developer docs, third-party integrations, detailed tutorials… they cover everything. Without further ado, let me take you on a journey of all the amazing features of the WooCommerce Product Table plugin by Barn2 Media. 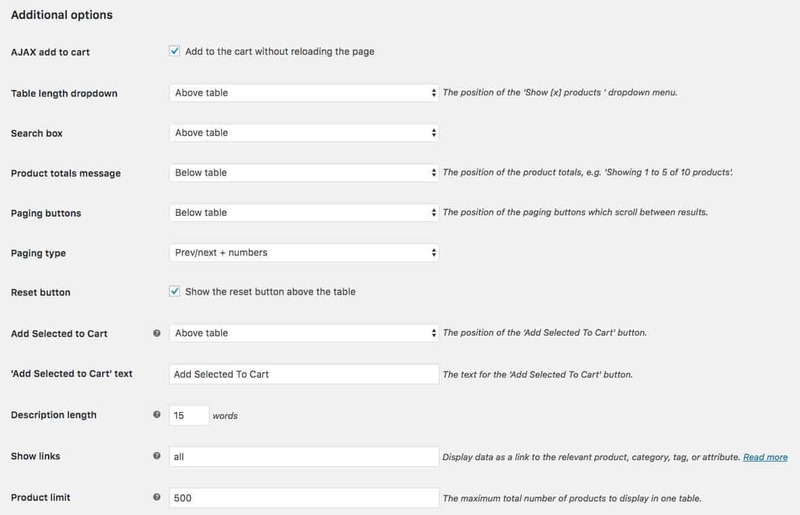 Customize how a shopper can interact with the table: sort, filter, search, etc. With a basic understanding of how it works, let’s dive into all the features of the WooCommerce Product Table plugin. Default Options: These options will determine how your product table is displayed when using the [product_table] shortcode. They can easily be overridden on individual tables. Additional Options: These are more advanced options that deal with the functionality & placement of certain table features. Most of these can also be overridden on individual tables. 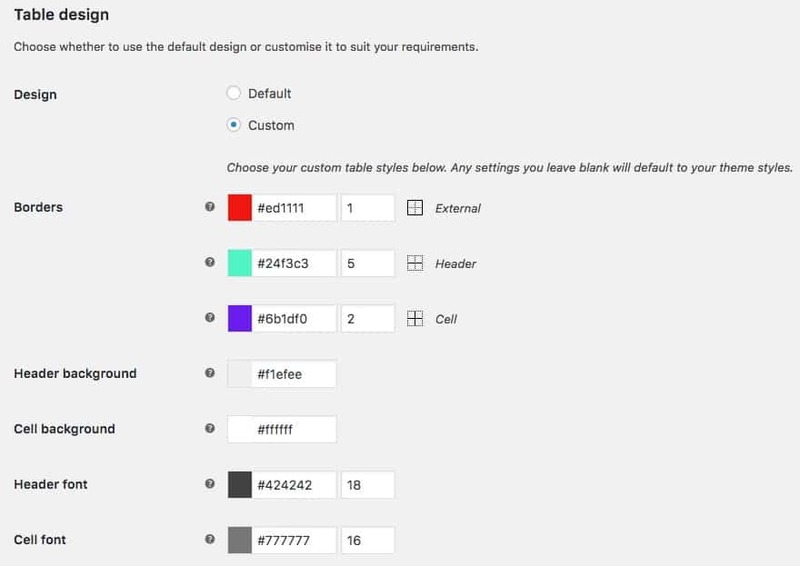 Table Design: Choose the default table design, or apply custom borders, table headings, and cell background colors. 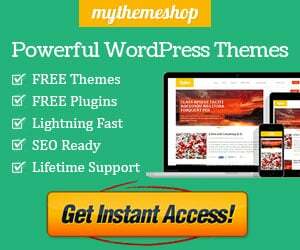 Using the default option will pull existing styles from your current WordPress theme. These are mostly set-it-and-forget-it options. If you plan to display more than one table (or list) of products in your store, I’ll show you how to customize the [product_table] shortcode in a minute. The WooCommerce Product Table plugin comes with over 48 options to customize each table. And there is no limit to the amount of tables you create. If you manage a huge WooCommerce store, you could build over 100 product tables, each with a different set of options. The possibilities are endless. Continue reading to learn more about all the features. By default, the [product_table] shortcode will display every product in your store. But don’t worry. You can customize the product display in a myriad of ways. NOTE: In the following examples, the use of a comma (,) will display products containing one OR the other value. The use of a plus sign (+) will display products in both value1 AND value2. Either way, you can combine as many values as you’d like. Get creative and combine several custom taxonomies together. Remember, you can choose AND (+) or OR (,) operators, as well. Just like custom taxonomies, you can display products in your table based on their custom fields. For custom fields, use the cf option. Only display products in your table if they were published during a particular day, month or year. You have full control over what product information you want to display. This is controlled by which columns you choose to include. Each column will contain a separate piece of information about your product. Price – the product’s current price. Variations are shown as a range. You can also add any of the following custom columns, depending on how you’ve set up your shop. Product Attributes – colors, sizes, etc. If you don’t like the default name for a column, you can update each column to use a custom heading. You simple add a colon (:) after the column name and type in your preferred heading. Alternatively, you can completely remove the column headings. Use the keyword blank after the colon (:). The WooCommerce Product Table plugin fully supports variable products, and it gives you 3 options for how to display your product variations in a table. Here’s an example of variations included as a dropdown menu. 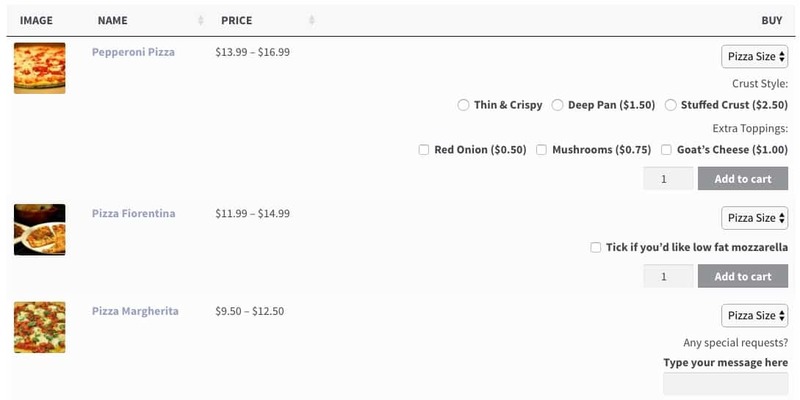 You can select all variations right from the table, and immediately add the variation to your cart. You can also break out each variation on its own row. Notice how the variations are listed after the product name, as well as in their own column. If you’d rather direct customers to the single product page to choose variations, you can do that as well. If you need more customization than a typical variable product allows, you might want to consider using the WooCommerce Product Add-Ons plugin (in addition to the Product Table plugin). This will allow you to create additional product options in the form of text inputs, checkboxes, radio buttons, etc. 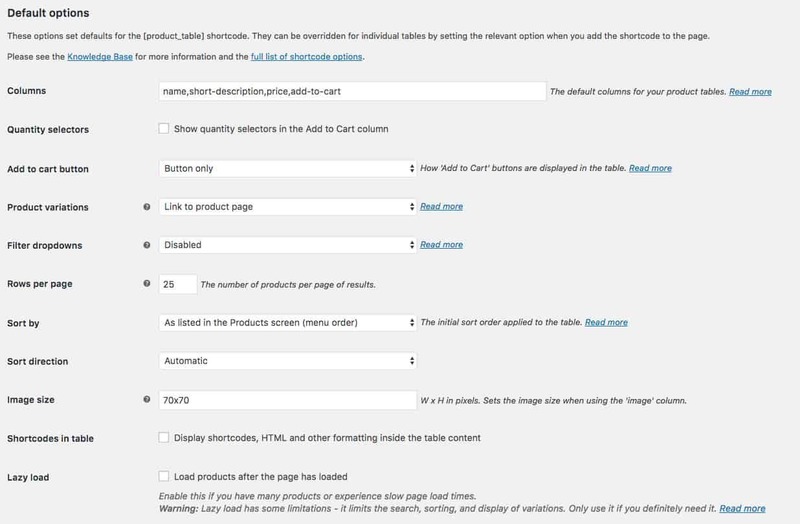 Use WooCommerce Product Add-Ons to create a customized order form. You can include a filter for all of your product attributes, or just pick and choose which specific attributes to filter by. Total flexibility! It’s also possible to display all the currently active filters. You can click the x next to any option to remove it, or clear all filters and revert back to the original product view. If you are not lazy loading your table, you can sort by any column in your table. Users can sort by any column heading once the table has loaded. Not only does the WooCommerce Product Table plugin give you a ton of filtering options, you can also let users search by keyword. It’s just like a Google search, and you see instant results. Responsive tables have always been a challenge on mobile devices—especially larger tables with a lot of information. The WooCommerce Product Table plugin does a beautiful job of displaying your products on mobile. This really is one of the most user-friendly responsive table options I’ve seen of any WordPress plugin. The WooCommerce Product Table plugin should work with any WooCommerce theme, as well as many third-party plugins. …and many others. Check the full list of plugin compatibility. Your product tables will do a great job of inheriting styles from your current theme, however, you do have the option of customizing them. If that’s not enough, you can use custom CSS selectors to completely customize the product table. There are so many features of this plugin that it’s hard to fit them all into one article. Here are a few more that didn’t fit into a category above. If you want to dive deeper into how these features work, check out the awesome documentation. To give you an idea of what this plugin can really do, here are few examples of WooCommerce product tables in action. 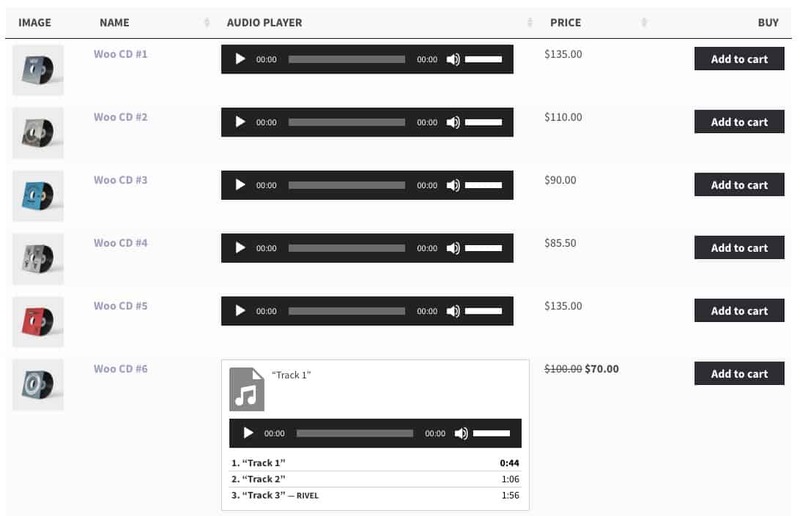 Use a WooCommerce product table to sell your music. It works with any audio files, songs, playlists, etc. 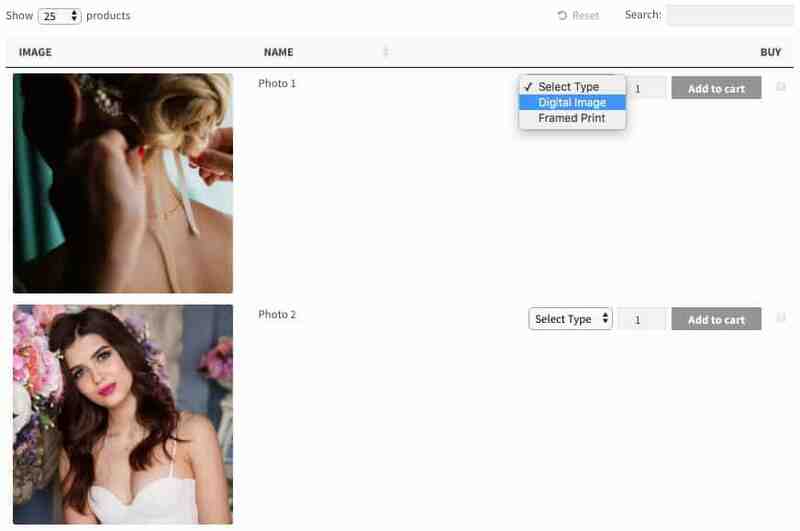 Create a WooCommerce photo gallery and sell your photos online. WooCommerce Product Tables is a premium plugin, and pricing depends on how many sites you plan to use it on. Every plan includes all features, security updates, and customer support for 12 months, along with a 30-day money-back guarantee. This plugin is feature-packed & versatile. You can use it in a variety of different ways, and customize it with an almost infinite number of options. It can drastically reduce the amount of steps required to create a custom order, which can increase conversions and lead to more sales.